SPIE can repair, service and install all types of industrial, retail and commercial doors, irrespective of type or manufacturer. Be it manual doors, auto doors, security and fire-rated roller shutters, steel-hinged doors, sectional doors, grilles and security bars or fire and smoke curtains, SPIE has an entrance solution for you. We offer a full 365-day cover for reactive maintenance, servicing, refurbishment and installation of all access products. 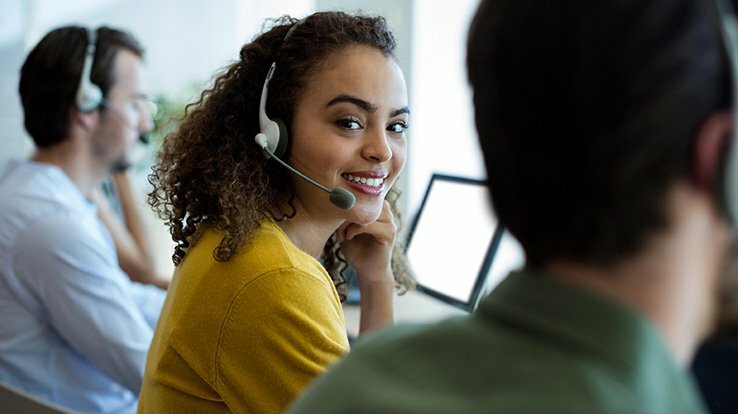 All requests, whether a reactive call-out, a planned service visit, a quote request or installation are logged by our internally hosted Help Desk. Our experienced operators are trained to interrogate your request, ensuring the correct engineer is dispatched to effect a first time fix where possible. All actions are tracked on our IT system from receipt through to completion, ensuring we achieve your service levels, monitored by our KPIs. Our engineers are spread throughout the UK, giving fast response times whilst minimising travel and environmental impact. Our reactive service covers all types of pedestrian doors: manual or automatic; all metal door applications; fire and high security, both internal and external; and all types of roller shutters and grilles. We operate across the UK in all market sectors from retail and leisure through to public & commercial offices, buildings and distribution warehouses and manufacturing plants. We listen to your needs and understand the critical nature and importance of entrance and exit doors to your business from a security, heat/cooling efficiency and safety aspect; our services have been shaped to respond effectively to the variety of circumstances which we may encounter. Our fuel-efficient vans are kept fully stocked with all the minor parts required for basic repairs, with major parts available on express delivery from our extensive stores warehouse. With vehicle tracking and smartphones, we can provide information from site to enable you to make informed decisions regarding a preferred course of action, including supporting photographs of any damage. Tracking also enables accurate time of arrival estimates and the rapid selection of which engineering team is best placed to respond. Teams are equipped to work at heights where necessary, when using scaffold towers (PASMA) and have access to MEWP and cherry pickers when required. All operators have undertaken in-house health and safety training. If appropriate, we can secure the premises on a temporary basis and, in most instances, order parts for next day delivery to enable you to keep operating. We support the field team with a full technical quotation service for damaged, faulty, life-expired and capital equipment replacements and offer contracts for planned ongoing maintenance if required. We understand the benefits of a planned maintenance regime in order to extend the efficiency of operation and, by extension, the lifecycle of your assets. This, of course, helps to reduce the financial impact of reactive responses and replacement of equipment. Furthermore, by ensuring that doors are in safe working order, this reduces the likelihood of accidents or damage with potential knock-on effects on productivity. For Planned Preventative Maintenance visits, site addresses, assets and service level agreements are pre-loaded onto our IT system, and our planners use the engineers’ diary to schedule and monitor works using a simple traffic light system and warning “pop ups” to indicate urgency and progress. We operate in a variety of sectors, and listen to our clients’ individual requirements in order to plan and deliver activity to suit their business needs with minimum disruption, including an of hours capability where appropriate. Planned Preventative Maintenance by our engineers is carried out in accordance with manufacturers’ instructions to ensure that the equipment remains safe and reliable, your exposure to liability is reduced, and complies with all current legislation. We work with a variety of manufacturers, which gives us the freedom to supply and install those products most suited to our customers’ needs. Our skilled teams of engineers will work in partnership with your operational and facilities personnel, planning and coordinating installation of equipment to your timetable with the minimum disruption to your trading. Our service includes all the necessary supporting trades, such as electrical connections, control equipment and any building alterations which may be necessary. Want to find out more about our entrance solutions?